The wetness of this winter in northern California has been truly exceptional. 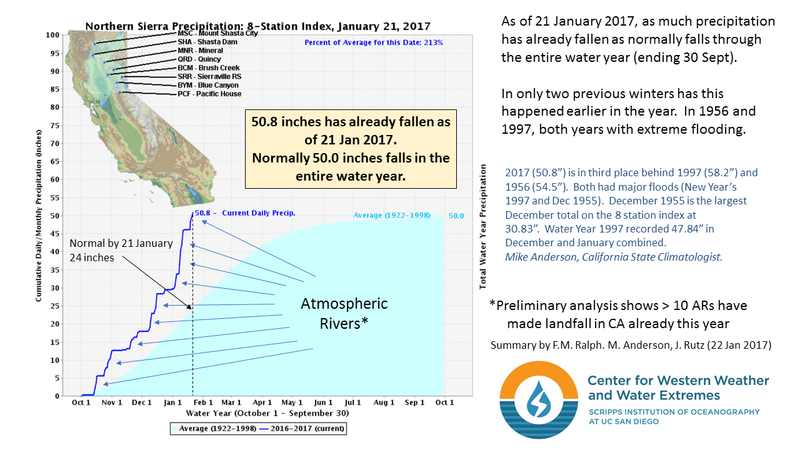 Only two past winters on record have had as much precipitation to date as this year has in the Sacramento River watershed, which is key to California water supply. And each of those was a major flood year.